One Man's Lonely Adventures In His R33 Skyline GT-R: More Parts! This being the last Sunday before we moved, I decided to get some more parts work done. 4 POINT SABELT HARNESS Installation. First, begn by removing the rear seat cushion. This only requires removing two bolts, albeit they are TORX bolts. Lift up, and presto. Seat bottom comes off. And hey, what do you know - Nissan already drilled out a hole for one anchor bolt. Mounted one of these adapter clips to the bolt used to mount the retracting seat belt. And here is how the two look installed. 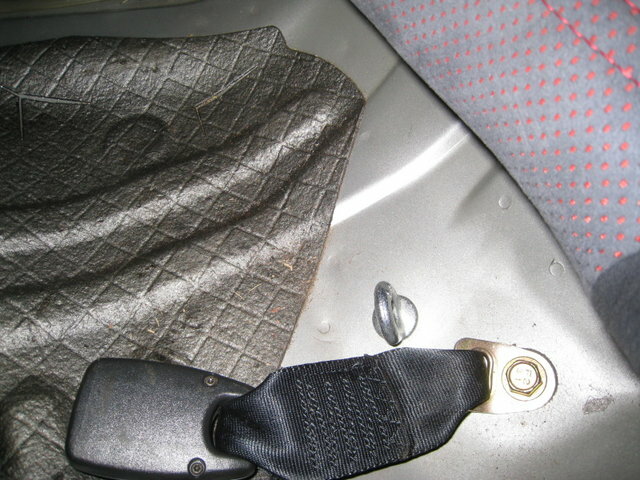 Installed the lap belts by finding bolts next to the seat - one mounted on the railing, one attached to the body sidesill. 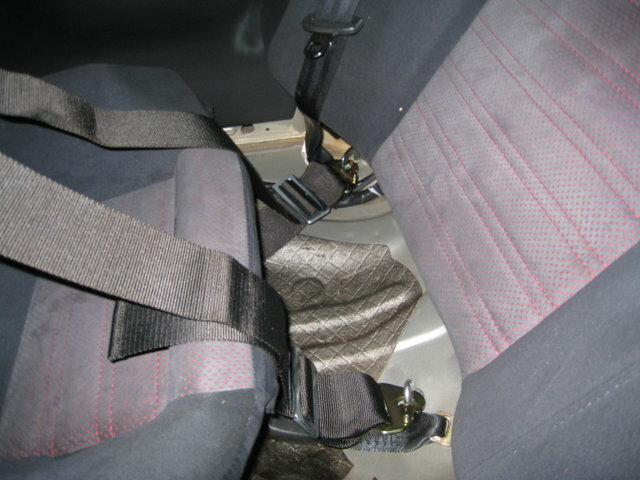 How it looks with the shoulder harnesses threaded through the seat. I know have to figure out how to prevent wear and tear to the seat where the harness passes through. Clearly, another trip to Tokyu Hands is in order. The old one looked great, it was subtle, but I wanted it to stand out a bit more. And, Nori-san at Mine's did send me some, but really, this design is somewhat long! But I'm not complaining, I set about removing the old stickers. And here is how it looks now! Yes, it does make it much more noticeable! I wonder if I should keep the blue and grey part on the left side of the Mine's lettering. Might look better without it? HKS KANSAI CARBON FRONT UNDERCOVER - REPAIRED! I managed to use glass fiber cloth and resin to patch up some cracks and add material to replace what had broken off. Here is the undercover before repair - using the other side, I created a template for the broken side. This was all done a few weeks ago. 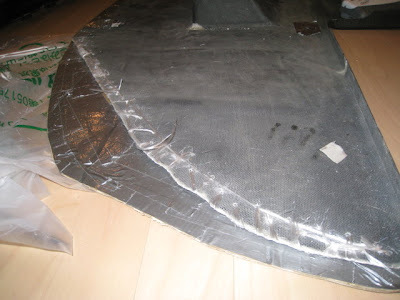 After application of the cloth and resin. Then let it dry for about 2 weeks. I managed to install the HKS part, and realized that the reason it had cracked and broken before was that after a power check at car store, the techs had failed to reinstall properly - with the lip spoiler being larger on the series 3 R33 GTR, this necessitates some spacers - and it fits much better, yes.